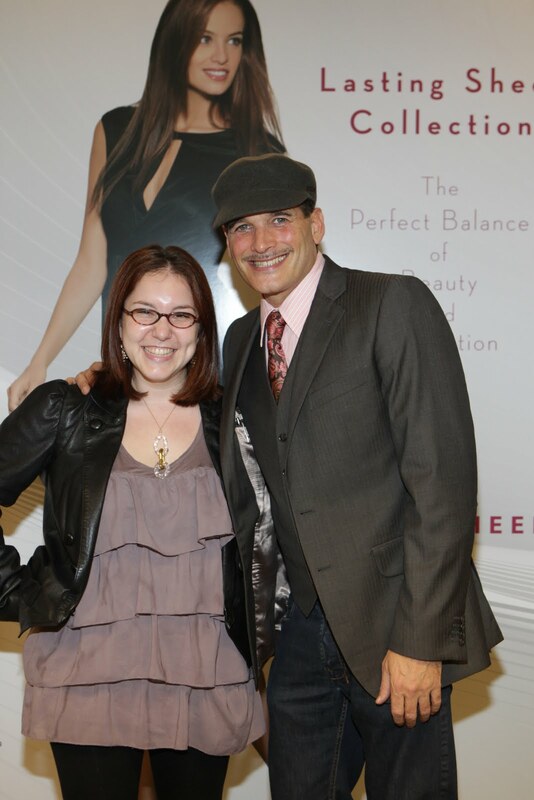 The Beauty of Life: Hanes Launches Silk Reflections Ultra Sheer And I Met Celebrity Stylist Phillip Bloch! Hanes Launches Silk Reflections Ultra Sheer And I Met Celebrity Stylist Phillip Bloch! If you want to get in on the sheer tights trend, you'll definitely want to know about the new Hanes Silk Reflections Ultra Sheer. At an event yesterday announcing the launch (which will be available at department stores in February 2011), celebrity stylist Phillip Bloch had us all laughing uproariously while he took us through the big trends of the season -- all perfect with Hanes Silk Reflections Ultra Sheer, of course! Hanes Silk Reflections Ultra Sheer will be available in six shades -- Barely Black®, Barely There®, Gentlebrown, Jet, Little Color®, Natural -- with a retail price of $10. Each one is like "cosmetics for the legs," according to Phillip. And -- as if that weren't enough -- Phillip was amazingly nice, chatting with each of us personally after the event and even posing for photos! Check us out! I'm so glad to see these hose come back. They were actually discontinued years ago. I have been on the hunt for a less expensive brand (less than Wolford,) that looks like these do! Yay, I'm excited.